íon Distillery is a new project by Tyrone based Pokertree Brewing Company. With a belief in simplicity, quality and innovation, íon Distillery produces a range of intriguing spirits influenced by nature and history. Each bottle is hand made in small batches and stone filtered. 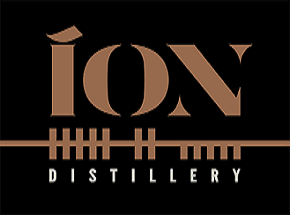 Home of Ireland’s first range of 100% locally made craft rums well as a range of unique gins and vodkas, ion Distilling produces all its spirits from scratch in their own distillery in County Tyrone. All their spirits are made using water from their own artisan well, which is filtered through ancient volcanic rock that lies beneath their distillery. Their rums are made with the finest Central American Molasses, using a purpose built Caribbean “Doubler-style” copper column still which is unique in Ireland and the UK. They use authentic rum yeasts and age some of their spirit in bourbon barrels for a totally authentic, yet unique product. Their vodkas are made in house in a dedicated hand made still from the finest wheat, rye and barley blends and is distilled up to 10 times to create an exceptionally clean and unique spirit – perfect to sip or as a great base for cocktails. Launching mid 2018 - íon Distillery products will be available nationwide.